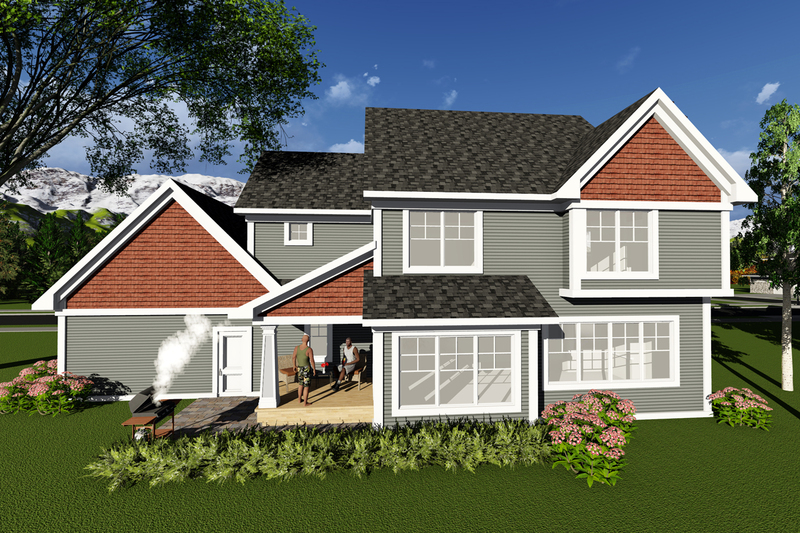 Beautiful 2-story, 4 bedroom, Craftsman-style house plan offers main level gathering spaces for family and friends. 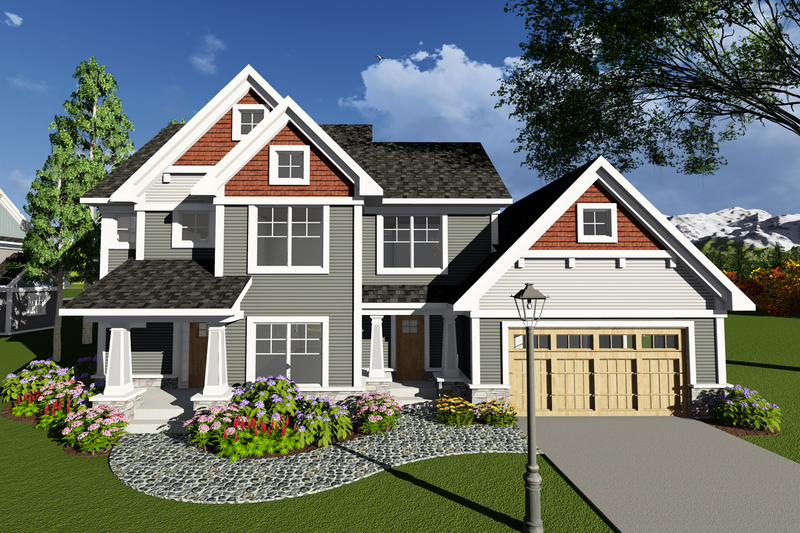 Front Rendering: A rendering of the front elevation along with general construction notes. Elevations: Shows the front, sides, and rear, including wall and window heights, exterior materials, soffit heights, roof pitches, etc. 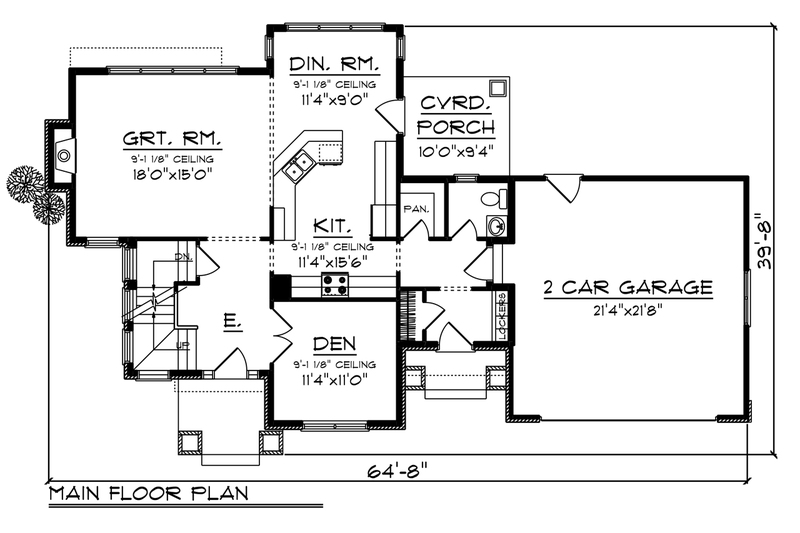 Main Floor Plan: Shows placement and dimensions of walls, doors, & windows. Includes the location of appliances, plumbing fixtures, roof, wall, and floor structure from above (if any), ceiling heights, etc. 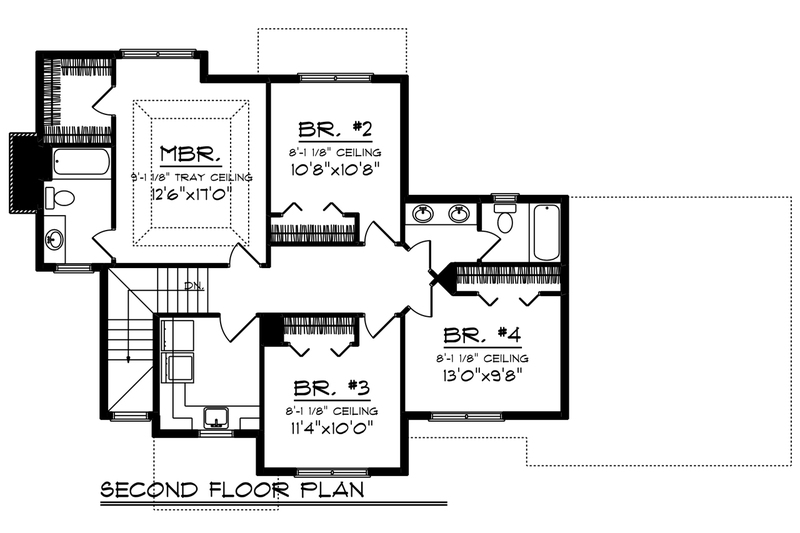 Second Floor Plan (if any): Shows the second floor in the same detail as the main floor. Includes second floor roof structure as well. Foundation Plan: Shows the location of all concrete walls and footings, beams supporting the floor structure and structure above, and foundation details. If there is a basement, a basement plan is included which shows all basement details. Roof Plan: Shows roof outlines, lines of bearing walls below, roof framing details, etc. Section & Details: Shows a cross-section of the home. Shows support members, exterior and interior materials, insulation, and foundation. Stairway, kitchen elevations, and wall section details are drawn at 1/2" = 1' scale, and appear as needed throughout the prints. Electrical Plan: A schematic layout of all lighting, switches and electrical outlets drawn at 1/8" = 1'. Electrical general notes are provided as well. • This four-bedroom two-story home boasts Craftsman details that set it apart from the rest of the homes on the block. • As you enter the home, double doors to your right reveal a private den. • The main living area is open concept with the kitchen, dining and great rooms flowing together to create on large living area. • The four bedrooms are located on the second floor and include a master suite with tray ceiling, private bath and walk-in closet. • Three additional bedrooms share a full bath off the hallway. • A two-stall garage completes the home.